The thing I love about photography workshops is they force you to really sit down with your camera frequently. 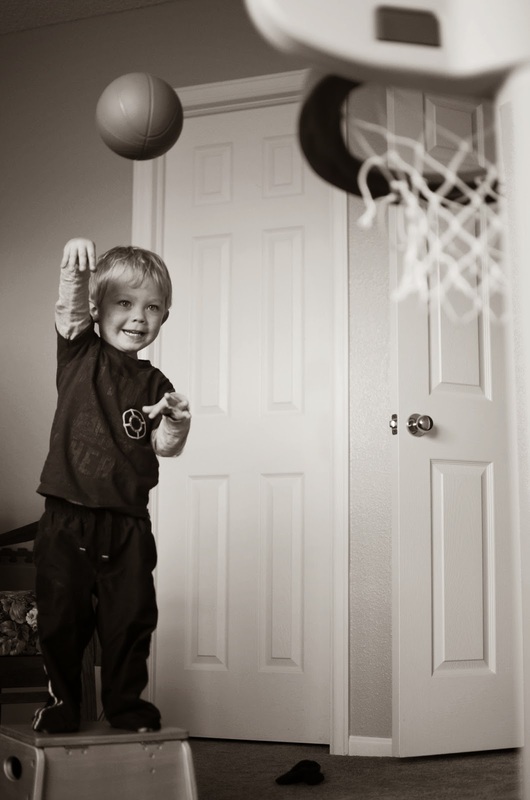 I've been meaning to capture my little man shooting hoops in his unique way, but really if it weren't for doing a focus speed assignment for the course I probably would have simply shot one frame and called it good. 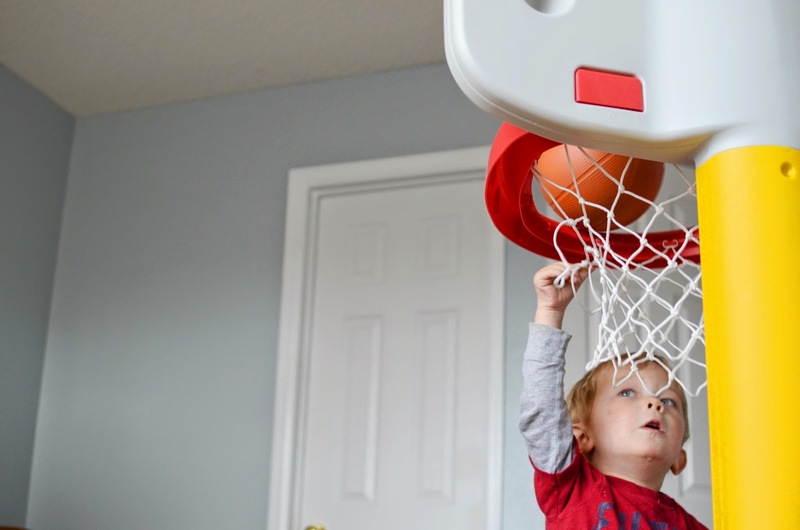 Playing basketball is a popular activity in our house. 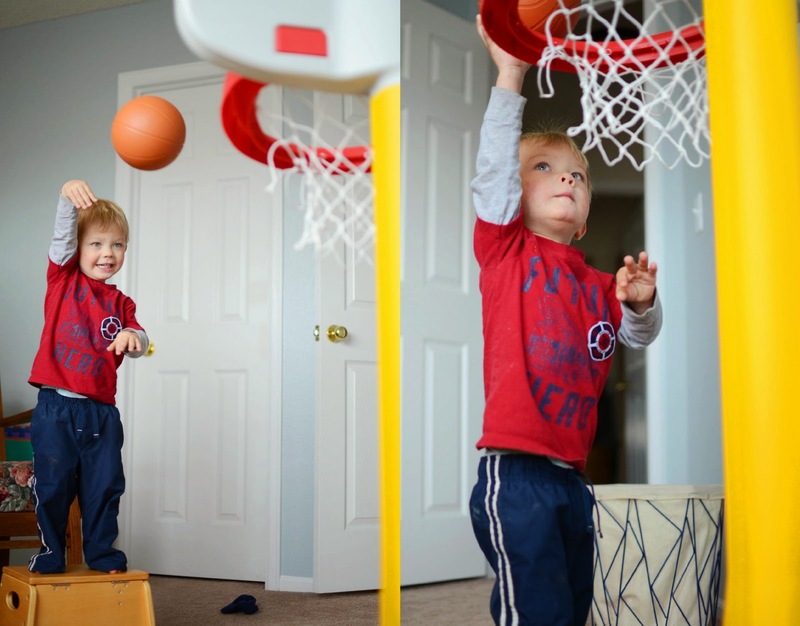 Funny though the little man likes to stand on his stool and shoot hoops from there. 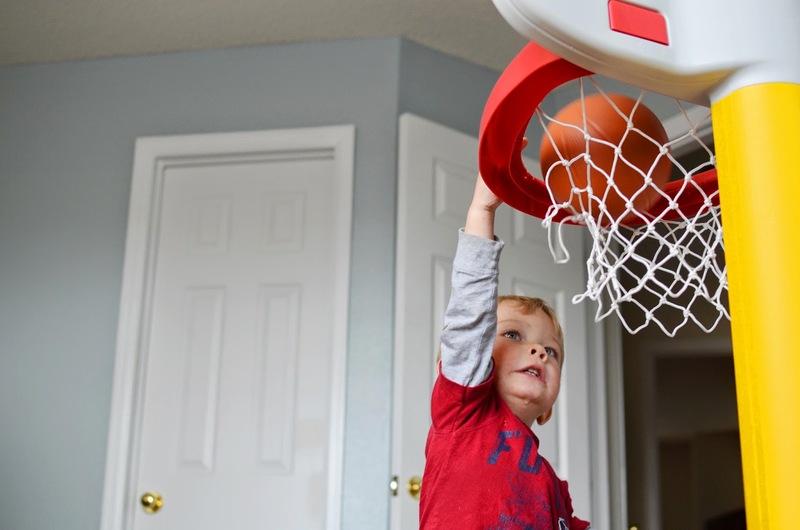 If he isn't standing on his stool he will only dunk. He commentates his own game yelling "shoot," "miss," "made it!" It simply cracks me up.